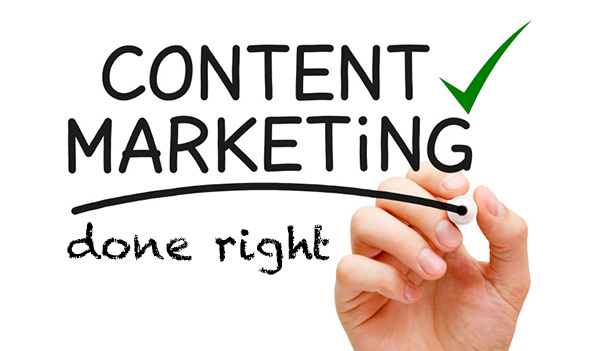 Content marketing is still, in some quarters of marketing, a darling of the industry. Some say it is a fading star, but there are ways still to use content to better market your products and services, to better connect to your target audiences, and engage consumers. Here are six ways to get your content marketing strategy to work harder for you. 1. Start with focus. Focus on the User. Your clear focus should be the user. Your content should really be out there to benefit the user, and thereby endearing the user to your brand. Whether you get all other boxes ticked, and you have great content from a brand perspective, and it's created well, published in proper context, if you have lost your focus on the user, you've lost the plot from moment one. So make sure your content addresses where your target audiences are, what they are looking or searching online for, what will resolve problems or needs they have, how they behave online – and that your content is after all a rewarding experience for them. 2. How to focus on the user? Have clear content goals, research your content and plan ahead. Content needs to be planned and not written or created on a whim. Have you done your Google keyword planner homework, or are you just hoping and praying your content will resonate? Content needs to focus on user needs, and you need to know those needs first. Does your content have a clear goal? What do you want to achieve? More sales? More awareness? Better engagement with loyal customers? All these questions have different answers, and need different pieces of content. Align internally with your departments and have a feel for what their goals are. Plan ahead and then brief your content creators properly. Properly, so that content is effective and efficient. 3. The content brief is critical. Coming from an advertising background, I cannot stress the importance of a good brief enough. Be clear in your brief on what you want to achieve, who the content is aimed at, where (which channel) it will appear, the tone of voice it will adopt, guidelines to follow... The brief is a reflection of what you have planned for, what research you have done, and what you know about the target audience segment you want to address. Content for Gen Z audiences cannot be the same as one that young moms will like and share. 4. Great content? Grab attention with great headlines and subject lines. I've seen great content on YouTube that has pathetic subject lines. I have stumbled upon blog posts that are mega useful, but the headline was all over the map, and had nothing to draw the user in. Content is a first go-to for the fashion and automotive industries, but sadly these scream of poor headlines. What does "For the Love of Mike" have to do with, say, a new model car review? Or a fantastic video on how to apply mascara titled "Good morning ladies"? Your headline or subject line should be standout quality – enough to draw the user in and make sense to search engines as well. 5. Select the right content channels and be consistent across them. It is not, repeat, not important to be across every channel, every social medium. Again, focus on where your true target audience is going to be, and as well, where, as a brand you could or should be. Do you fit in on Snapchat? Is your message suited for the here and now of twitter? Should you experiment with tumblr? Get your channels to work keeping message, audience and your brand in mind. And then be consistent. Your message, your content should be suited to both the medium and the audience that's on it. Your story should be the same, it may vary depending on channels, it may vary from a tone of voice perspective, but your content needs to be consistent in what it's saying. And, yes, consistency needs to keep the medium in mind – you cannot use the same tone on twitter that you would on a blog post. 6. Don't sell. Create great experiences. Consistently selling is overselling when it comes to content. You can wrap an entire 600 word post around a single goal – sell your new product – but it won't work if it's all just a disguised buy me now message. Whatever medium you've selected, you need to create a rewarding experience for your audience there. Is your YouTube content too long to sit through. Does it stick beyond the five second click out? Is your blog suffering from poor typography and sheer bad design? Is your owned content (website) totally boring while you are trying so hard to be tragically hip on Facebook? Check and pre-flight your content. Ensure it is error free. If it's video, it doesn't have to be shot in 4K, but it needs good lighting, clear audio, and the story told quickly and effectively. If it is written content, what's the user experience? Does it deliver on promise? Does the user feel that checking out your content was well worth it? Good content, in closing is one that resonates, that answers to what the user is looking for, that is precise, that is sharable, and one that endears the user to your brand. It does not interrupt, it allows for participation and enjoyment. Remember, content is king. But apparently, getting the context right is God. The most important part about getting content right is keeping it short. People have no time to go through long videos or read pages on websites. Agree that a good headline or subject line is important, but the actual content needs to build around that. So many times, we see a good headline, but the actual content does not continue on that subject. A good headline without actual good content is just to grab attention. It does not work. Well, it is quite true Seema. Most of the people out there judge a book by its cover only. In such a case, the title becomes more important. Other than this, the summary is also read with high significance by most of the readers, so it should be written carefully.